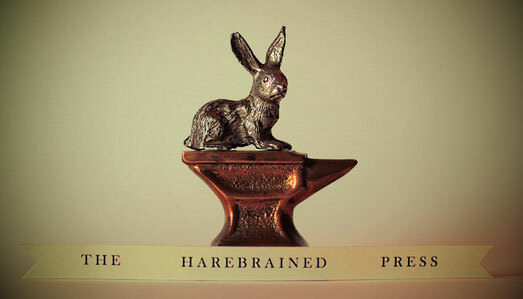 Letterpress is the oldest form of printing, as printing is commonly perceived: that is, as a means of reproducing text and picture copies through mechanised labour. 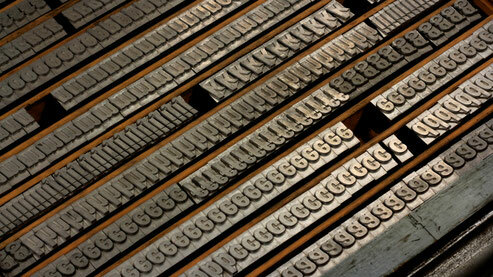 Raised, or relief, letter and punctuation forms made of cast alloy (known collectively as ‘type’) are arranged, locked into place and then inked up, either by hand or mechanised roller, before being impressed upon paper. 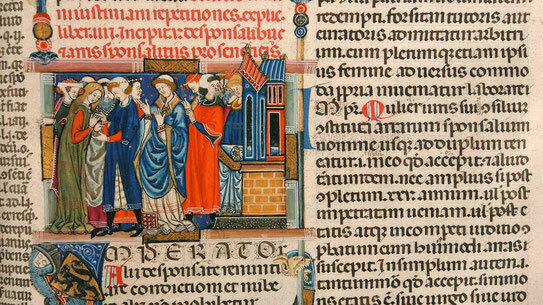 Italian Law Manuscript, Frontispiece to Book IV: ‘On Betrothals and Marriage’. 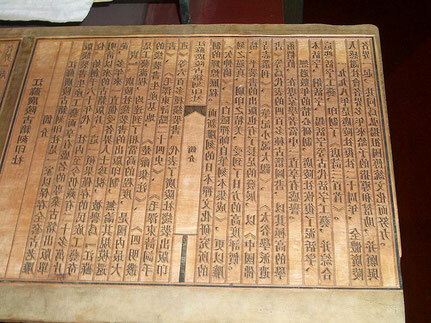 Before this method was developed, the only means people had of reproducing text was by writing each copy out by hand, or by printing from solid, carved woodblocks. Both of these methods were labour-intensive; and the latter used a lot of materials and space for storage. 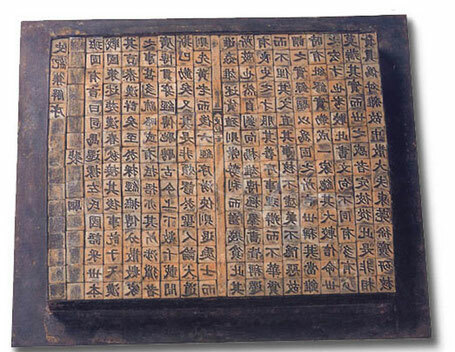 Then, around AD 1040 in China, a working man named Bi Sheng invented a different way of printing: he carved individual characters out of clay, fired them, and then arranged them in a frame to compose the page (or forme) he wished to print from. These individual letter type forms could then be taken from the frame, rearranged and reused. 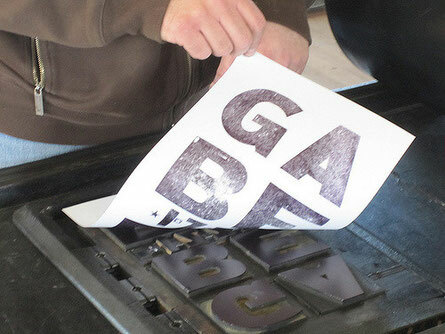 As type was further developed using different materials (wood, then metal), and as this technology, using movable type, spread across the world, production time, labour, and the cost of making books went down—and the quality of the printed text improved. This represented a revolution in the dissemination of information, which some have compared to the huge changes that came with the inception of the Internet. 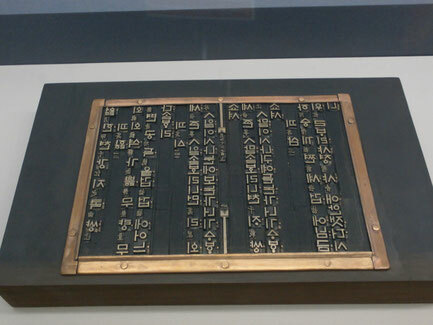 Image taken at Cheongu Early Printing Museum, South Korea.